There is a local branch of the SVP in the parish. These are called conferences as the Society was formed in France and conference is the French word for a meeting of people. 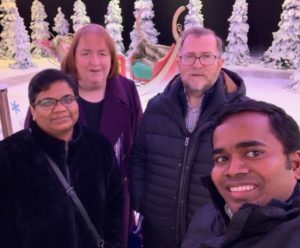 There are five members, four female and one male and they would like new members to join them in order to keep the conference alive in the parish. They each do different things such as visiting elderly clients in their own homes or in sheltered housing or in care homes. They also visit single mothers and provide some help as appropriate. The type of assistance can be help with food shopping, a gas bill or an electricity bill, or if they need a new washing machine to replace one that has broken down and is beyond repair. Sometimes a client has moved into a new flat or house and they need furniture and they do not have the wherewithal to buy such items. In this situation the SVP can help to procure the necessary pieces of furniture usually at a well-stocked charity shop in Hayes called Willow Tree Charity Shop. This shop comes under the aegis of Trinity Homeless Projects which has another shop in Uxbridge. If the local conference has need of extra funds to fulfil a project such as procuring furniture for a needy family or to purchase a new washing machine, then it can make an appeal to the district president for funds to cover this expenditure and it is usually granted after consultation with the treasurer. The local conference meets with other conferences in the Borough of Ealing every three months at a District meeting, usually hosted by one of the conferences. At this meeting all of the conferences make a three monthly report which is noted and minuted by the district secretary. The district treasurer will present his report also. This meeting is run by the District President who has usually attended a Central Council meeting beforehand. This takes place at Spanish Place church crypt and is attended by the district presidents in the diocese of Westminster and chaired by the Central Council President. She in turn attends National Council meetings four times a year and reports from and to the National Council. The SVP also has a presence internationally in many countries and every five years a new president is appointed. The headquarters of the organisation is based in Paris as the Founder Frederic Ozanam was French. 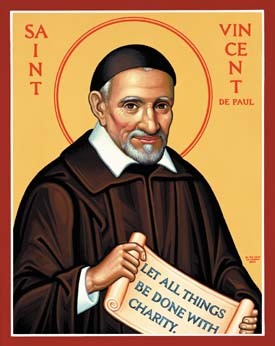 The name was taken from that famous French priest Vincent De Paul who did so much for the poor during his lifetime. If you are thinking of joining the SVP, the first thing to do would be to speak to any of the members who would tell you what is involved. They meet every two weeks and new members would first have to have a CRB check to ensure that you are suitable to visit vulnerable people. You can attend some meetings while the check is being undertaken and provided that you are given the all clear, then you can start visiting clients preferably with another member to begin with until you are familiar with the routine. At our meetings, we open with prayer, have a spiritual reading and then hear the minutes of the previous meeting. Reports are given on visits made and these are noted and minuted. We also have a “secret bag” collection from the members at each meeting. The amount is counted and minuted and the treasurer banks this every three months, and also sends a financial report to national office detailing income received such as a church donation, member’s contributions and expenses incurred during this period. The SVP also runs Special Works such as furniture stores, charity shops and counselling centres although most of these are based in the north of the country in such places as Leeds, Birmingham and Newcastle. There is also a National Raffle held once a year in an effort by conferences to sell as many books of tickets as possible. This helps the National finances as well as benefitting the local conference. There are children’s camps organised to provide a week’s holiday to underprivileged children during the Summer at the campsite near Chelmsford in Essex. If you can’t spare the time to attend meetings and visit the elderly or families, you can help by praying for the work of the SVP and becoming a friend. This involves making a monthly contribution of £2.00. 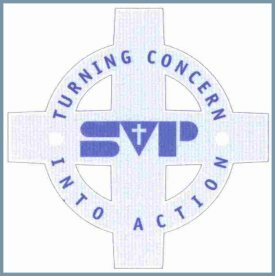 Speak to any of the SVP members in the parish and they will give you a brochure where you can fill in your details and send the completed form to the SVP national office for them to process.